In The Twilight of the Social, Henry A. Giroux looks at the decline of social spaces which enable grievances to be dealt with and considers new ways in which citizens can create social spaces today. After decades of neoliberalism, today's young people lack a voice and are saddled with economic, political, and social conditions that have rendered them marginalised and ultimately disposable. Giroux covers a broad range of topics - from youth and the promise of new media technologies, the economic Darwinism of globalisation, and the need for a renewed democratic culture. 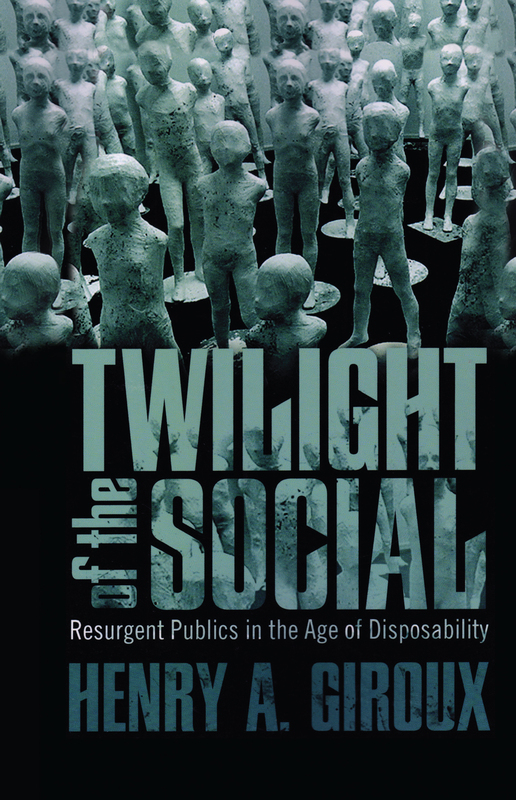 The Twilight of the Social is a compelling account of the erosion in recent decades of the very idea of 'the social' in America and other societies.